The concentration of cosmogenic 10Be in riverine sediments has been widely used as a proxy for catchment-wide denudation rate (CWDR). One of the key assumptions of this approach is that sediments originating from sub-basins with different erosional histories are well mixed. A tragic debris flow occurred in the Seti River watershed, central Nepal, on May 5, 2012. This catastrophic debris flow was triggered by slope failure on the peak of Annapurna IV and resulted in many casualties in the lower Seti Khola. However, it provided an opportunity to test the assumption of equal mixing of sediments in an understudied rapidly eroding watershed. 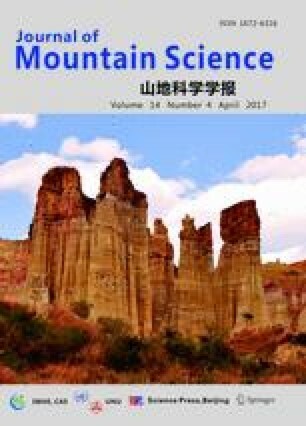 This study documents the CWDR of 10Be to evaluate the extent of the influence of episodic erosional processes such as debris flow on the spatio-temporal redistribution of 10Be concentrations. Our data show that the debris flow caused little change in CWDR across the debris flow event. In addition to isotopic measurement, we calculated denudation rates by using the modeled concentrations in pre- and post-landslide sediments based on the local 10Be production rate. The modeled result showed little change across the event, indicating that the debris flow in May 2012 played a minor role in sediment evacuation, despite the rapid erosion in the catchment. Our study concludes that although the 2012 event caused many casualties and severe damage, it was a low-magnitude, high frequency event. This research was supported by the College of Education, Korea University Grant in 2016. We would express sincere thanks to Ms. Su Young Lee, Prof. Kanhaiya Sapkota and Narendra Khanal for their help on initiation of this research and field survey. The early version of this manuscript was greatly improved thanks to the comments by Dr. J.M. Byun.